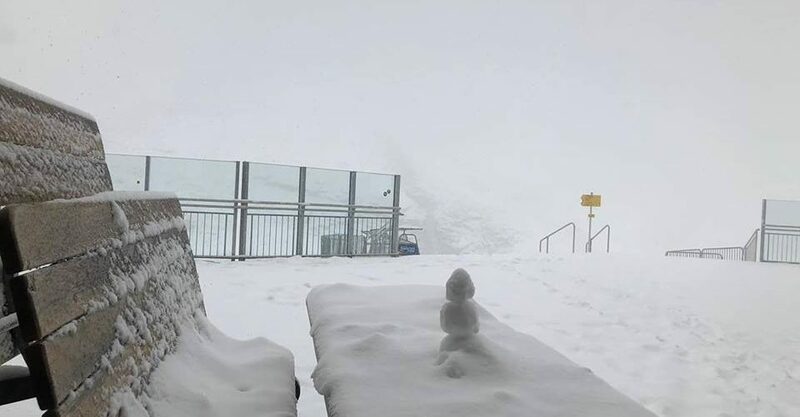 Fresh snowfall on high slopes in the Alps on Sunday evening and Monday led to great excitement on social media as ski resorts posted images and video of snow falling. For the half-dozen ski areas currently open in the Alps it means that for many today is a powder day on October 2nd with up to 30cm (a foot) of fresh snow lying and now a return to blue skies. The video below is from the Pitztal glacier this morning; the Kaunertal and Hintertux glaciers are also open, as are Saas Fee and Zermatt in Switzerland and Passo Stelvio in Italy. Reported snowfall totals since Sunday are Saas Fee 30cm, Pitztal 25cm, Kaunertal (pictured below this morning) and Hintertux both 15cm, Passo Stelvio 10cm, Val Senales 5cm. 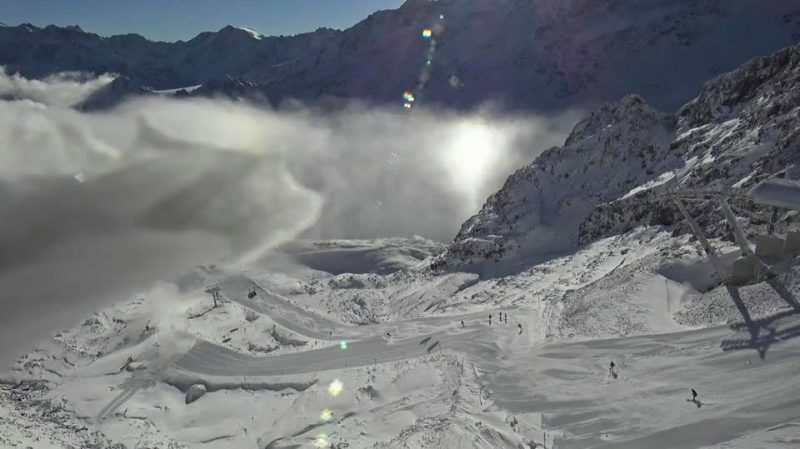 More ski areas are due to open weekly from this weekend on with Solden and the Kitzsteinhorn due to open in Austria this weekend as well as Ruka in Finland, using farmed snow from last season. Kitzbuhel and Engelberg are due to open the weekend after next. Tignes and the Molltal glacier are currently closed but will re-open when snow cover is deemed adequate. Val Senales in Italy is open but currently only open for race team training until conditions improve. Even resorts which are a while away from opening have been experiencing their first snowfalls of the winter this week. Alpe d’Huez, Val Thorens, Flaine, Avoriaz and Meribel have all woken to white landscapes in the last few days. Exciting times!